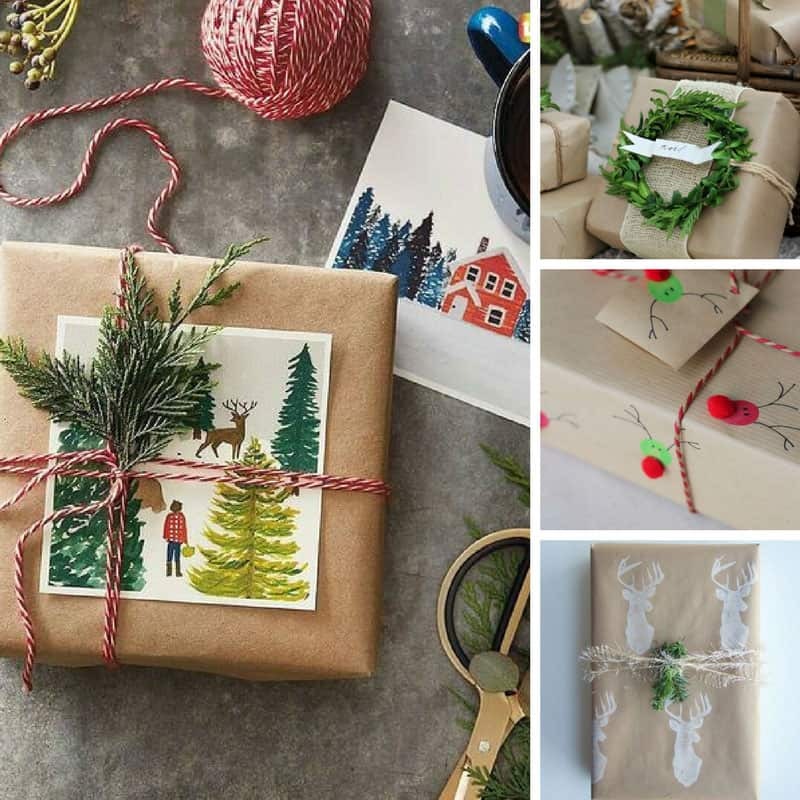 Whatever the occasion skip the store bought gift wrap and try one of these creative gift wrap ideas all using plain old brown paper! It’s time to start wrapping those Christmas gifts so I stopped by the store and picked up some gift wrap. And then I came home and found all these amazing creative gift wrap ideas on Pinterest… all with a base of plain old brown paper! And now I’m regretting my boring Christmas pudding wrapping paper! I’ve been on a bit of a pinning spree and thought I’d share the ideas with you too – s0 you can be more creative with your gift wrap all year round! I found everything from colourful bunting and giant letters to boxwood wreaths and no sew flowers! Add some antlers to turn your packages into reindeer!